If your kids are like mine, they’ll eat you out of house and home. School just started today and I’m actually looking forward to food lasting longer than 2.3 seconds in the kitchen! Mug cakes are a super easy snack, especially for your college student living the dorm life with microwaved food. In fact, my fellow food bloggers and I are putting together a Dorm Room Survival Kit with healthy recipes to send your kiddo off to college with. 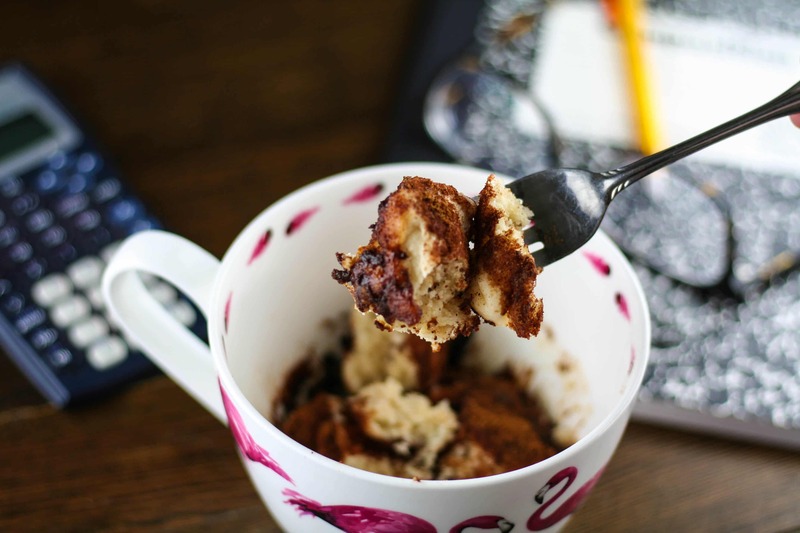 This gluten-free cinnamon roll mug cake will be included in that recipe roundup! Mug cakes only require a few ingredients and only a few minutes in the microwave, totally doable for your teenagers and college students. 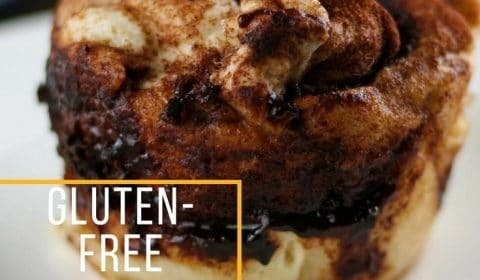 So why not update the traditional mug cake recipes to a healthier, gluten-free version?!? 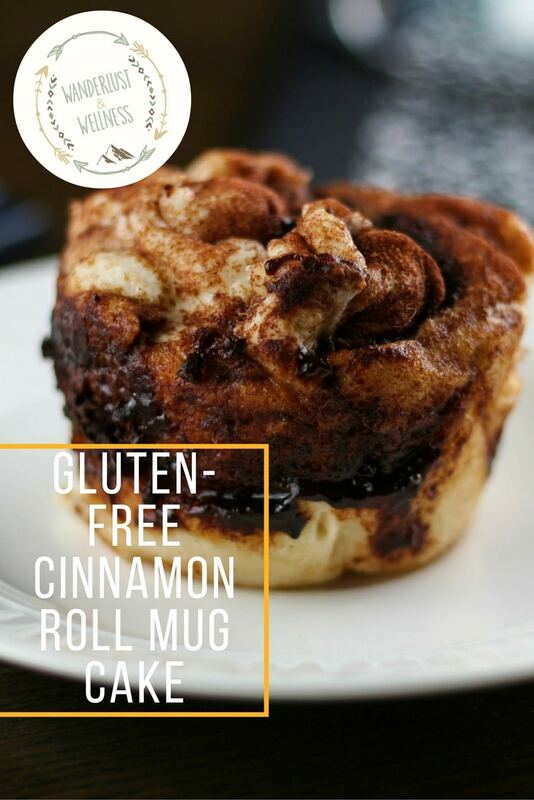 Enter this gluten-free cinnamon roll mug cake that uses a gluten-free flour, coconut sugar and coconut oil. You’ll sleep better knowing your college student is at least eating somewhat healthy while away at college, right?? Spray your microwavable mug with coconut oil cooking spray or rub the inside down with coconut oil. In a separate small bowl, combine the coconut sugar and cinnamon. Sprinkle the cinnamon sugar mixture on top of batter in mug. Using a butter knife, swirl the cinnamon sugar mixture throughout the batter. Microwave on high for 1 minute and 30 seconds. Remove and let cool for about 1 min. Transfer from the mug to a plate and enjoy! This is such a great idea! 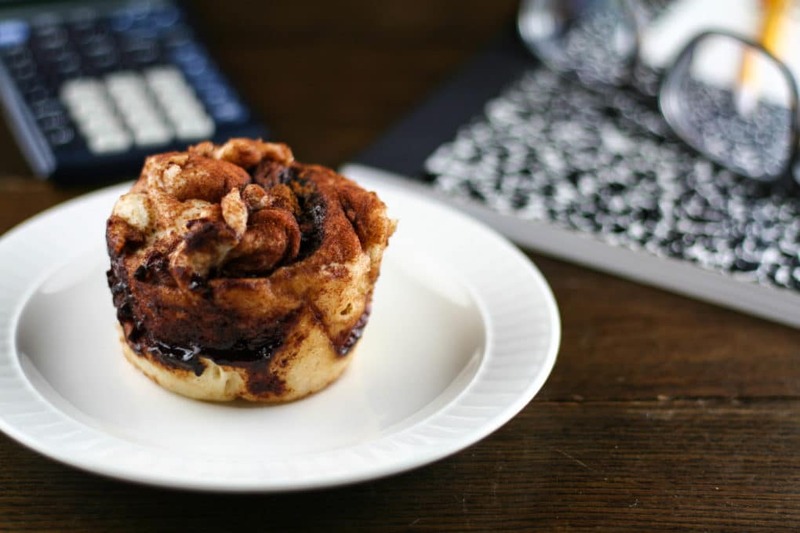 I used to love cinnamon rolls but i can’t justify making a whole batch of them. 1 in a mug is perfect! Isn’t it?! The perfect individual snack!